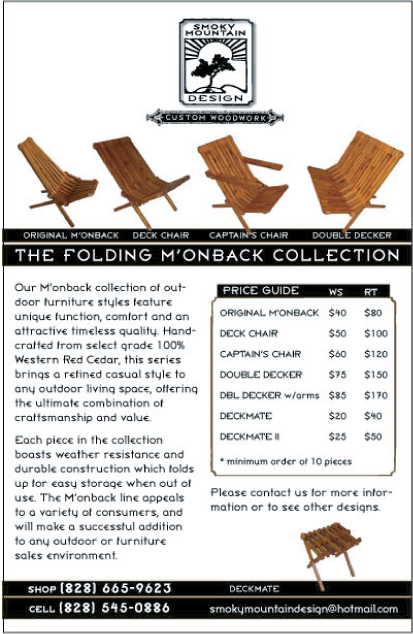 To launch their new line of outdoor furniture, Smoky Mountain Design needed hangtags and flyers. A photo shoot provided the pictures of the furniture pieces and some background texture for the hangtags, which were produced as business card sized for printing simplicity. 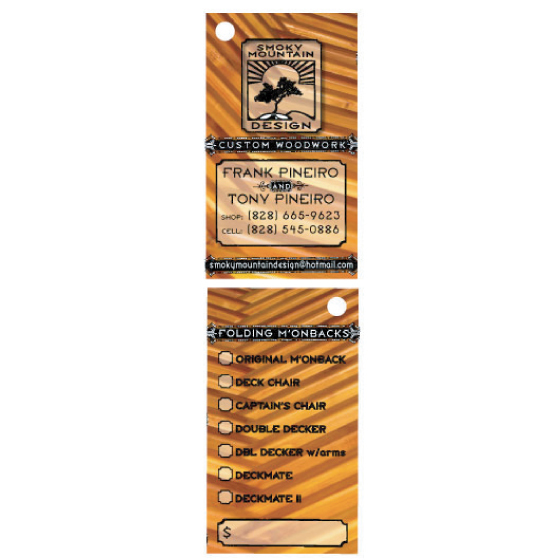 Displayed at outdoor centers and through regional shows, the printed materials helped customers to know exactly what they were looking at and order precisely what they wanted. Completed April 2006.